The decade between 1960 and 1970 saw British racing singles reach the peak of their decelopment, a decade in which exciting racing unfolded at circuits across the land every weekend, and the decade of Bob McIntyre, Derek Minter, Mike Hailwood, Phil Read, Bill Ivy and Peter Williams. the most competitive racing in the history of motorcycle sport. Racing Line tells this story – the ridres, the machines, the drama and the the excitement. This book is a unique record of the British big-bike racing ’60s, when the country's last great generation of riding and engineering talent combined to dominate the sport. 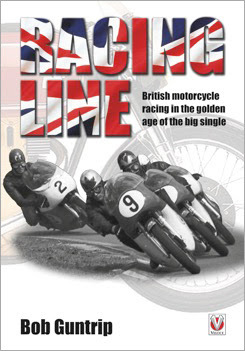 Tells the story of the last great decade in British motorcyle racing – of Minter, Hailwood, McIntyre, and the epic races that defined the era. Includes comprehensive race results, and rare photographs.